Learn Which Is Right for Your Website, SEO or PPC? Everybody wants to expand his business to that level where he can touch the height of success. It can be possible only after having a huge amount of customers and leads. In today’s time, all the businessmen develop their website in order to get the higher amount of conversions possible. If you have a website, then you really need a good amount of traffic to see your website succeed. To boost this traffic, you have got two main options: pay-per-click (PPC) advertising and search engine optimization (SEO). You can get the traffic using the PPC advertising services provided by Google Adwords, Bing Ads and others. Unfortunately, you have to pay whenever a visitor visits your website by clicking on your ad. That’s why it is called Pay-Per-Click. They provide you with the facility to display advertisements in the “sponsored-results” section of their search engine’s results pages. As said above, there is another way to generate traffic to your site, and that is Search Engine Optimization (SEO). You can increase traffic for free by achieving high rankings in the SERP (Search Engine Result Pages). These results are displayed next to the sponsored results. You need to apply best SEO techniques to get your site ranked on the top page of all search engines. It may take time to get the top position of the organic results, but most appropriate targeted traffic will end up being definitely justified the investment. You got to know about both the techniques, but which technique is better for your business? So, the answer of this question depends on your need and budget. If you want to see immediate results and can pay for it, then PPC could be right for you. But if you are short of budget, then you should invest time to get organic traffic through SEO. Now, if you have decided which technique will be beneficial for your business then you should learn about that particular technique in details. First of all, you have to finalize your budget for your ad campaign. Search engine’s advertising tools give you the option to set your daily budget. As you have to do a lot of hit n try, so it is always advised that you should start a PPC campaign with the minimum of 5$ to 10$ per day budget. 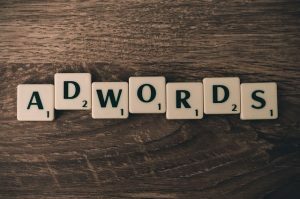 All PPC platforms allow you to bid what you are willing to pay for a single keyword click, and the fee is taken by the search engines for that particular click is known as CPC. Average CPC can vary according to the level of competition for a particular keyword. Keywords with high competition generally have high average CPC, so you have to bid high in order to get traffic to your website. Search engines do not ask any money for SEO, you can do SEO for your website without any charges. But, if you don’t know how to optimize your site, then it is advised to hire the best SEO services company. First of all, you need to do On-Page optimization, this is the process of optimizing the site to increase the quality of that website in the eyes of search engines. On-page SEO consists of various things such as Title tag, Meta Description Tag, Speed of the website, Image Alt tag and the most important “Quality of the Content”. Google and other search engines run some algorithms to stop the spamming done by the SEO experts to gain un-natural backlinks. 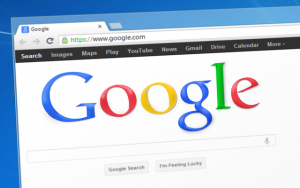 Google updates its algorithms very frequently, two of the most important and famous algorithms are Google Panda and Google Penguin. Creating spam backlinks or un-natural backlinks can give you a penalty from search engines which can cause deindexing your website from their organic search results. It directly means you will lose rankings and traffic practically overnight. But when you pay for traffic through PPC, you’re assured a steady stream of users, no matter what Google and search engines make changes. So, you have to save your website from Google’s penalty while doing SEO. As we all know, it isn’t always necessary to make an “either-or” choice. It would be quite powerful when you combine PPC and SEO for your website. 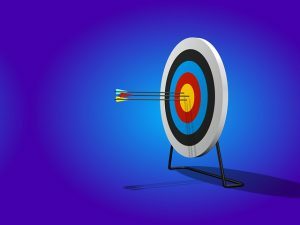 You can either go with SEO or PPC or Both the techniques, so choose wisely.